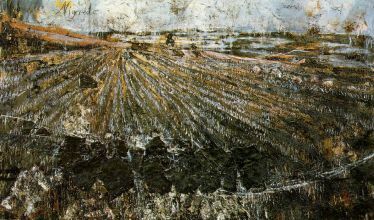 This article should be translated from material at de:Anselm Kiefer. 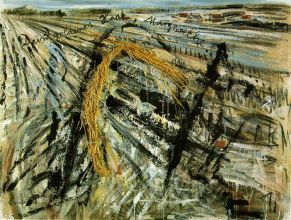 Anselm Kiefer (born March 8, 1945, Donaueschingen) is a German painter and sculptor. He studied with Joseph Beuys during the 1970s. His works incorporate materials like straw, ash, clay, lead, and shellac. 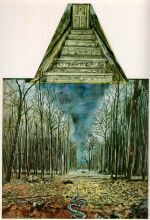 The poems of Paul Celan have played a role in developing Kiefer's themes of German history and the horror of the Holocaust, as have the theological concepts of Kabbalah. 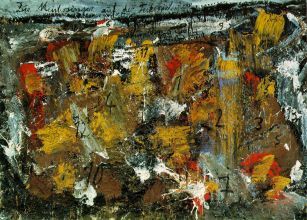 Kiefer ranks among the best-known and most successful, but also most disputed German artists after World War II. 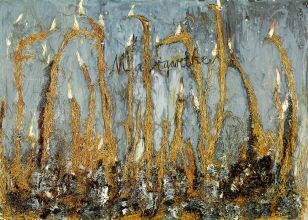 In his entire body of work, Kiefer argues with the past and addresses taboo and controversial issues from recent history. 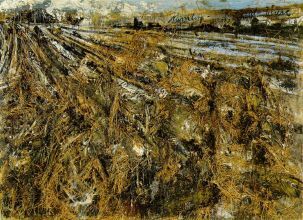 Themes from Nazi rule are particularly reflected in his work; for instance, the painting "Margarethe" (oil and straw on canvas) was inspired by Paul Celan's well-known poem "Todesfuge" ("Death Fugue"). Polemical discussions in the media over the value of his artistic work have taken place for many decades. 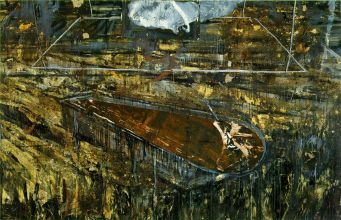 His works are characterised by a dull/musty, nearly depressive, destructive style and are often done in large scale formats. In most of his works, the use of photography as an output surface is prevalent and earth and other raw materials of nature are often incorporated. 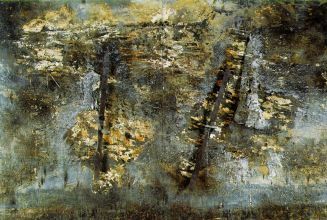 It is also characteristic of his work to find signatures and/or names of humans, legendary figures or places particularly pregnant with history in nearly all of his paintings. 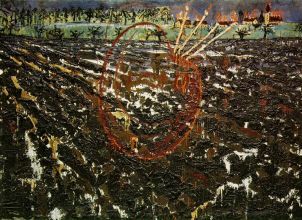 All of these are encoded sigils through which Kiefer seeks to process the past; this often gets him linked with a style called "New Symbolism."